Your food truck business concept may sound great for your family and friends, but to turn the idea into reality you need to prove to yourself and others that it will succeed. The best way to assess whether your mobile food business will be profitable is by conducting a short and concise feasibility study. The result of the feasibility study will determine whether you should proceed with a full business plan. Having a unique selling point (USP) is crucial to your business’s success. Ideally you should try and distinguish your food truck from the competition by providing a menu that customers can only get from you. Even if you are in a market with several similar mobile food vendors or restaurants you can still distinguish yourself from the competition through your product and the service you provide your customers. 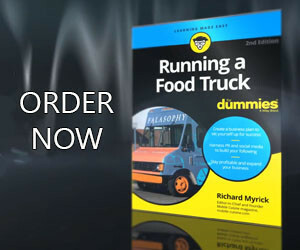 Proving that your food truck is better than your competitors is crucial; you need to determine why your menu or service will beat the competition. Price – where will your prices fall? Convenience – are your planned parking locations close to your target market? Quality – are your ingredients high grade, sourced locally or organic? Is your service faster or more efficient? You need to prove in this section that a market exists, or will exist for your food truck’s menu items. Some market research is essential here. If you cannot afford a market research company it is possible to research your market for yourself. Google – search engines contain lots of useful information, but be prepared to spend a long time looking for what you need. Social Networks – Use a service to conduct surveys via email as well as social networks (Facebook, Quara, Twitter) to find out what people think of your idea. A couple well written tweets in peak hours may generate valuable feedback. In this section you need to cover the basic requirements your truck will need to operate (licenses, commercial kitchen space, and parking). It’s always best to plan the first year in detail, and then look at the next two years on a summary level. Making profit is ultimately the most important area to use to determine if your concept is feasible. Be very conservative with your estimates in this section. If you are finding it difficult to plan revenue and expenses you should speak with an accountant familiar with the food service industry to help you. When you start planning out your food truck and before you invest too much time and money it is very important for you determine if your food truck concept is feasible. Not only with this will speed up the process of knowing to start over or to proceed with your plan, it will also provide you with most of the information needed to complete your business plan.